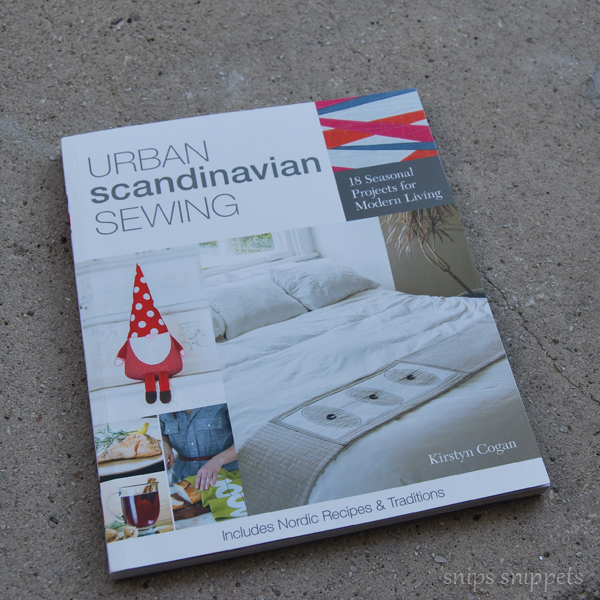 snips snippets: Urban Scandinavian Sewing - Bloggers Book Tour and a Giveaway!! Today is my stop on the Urban Scandinavian Sewing Bloggers Book Tour. 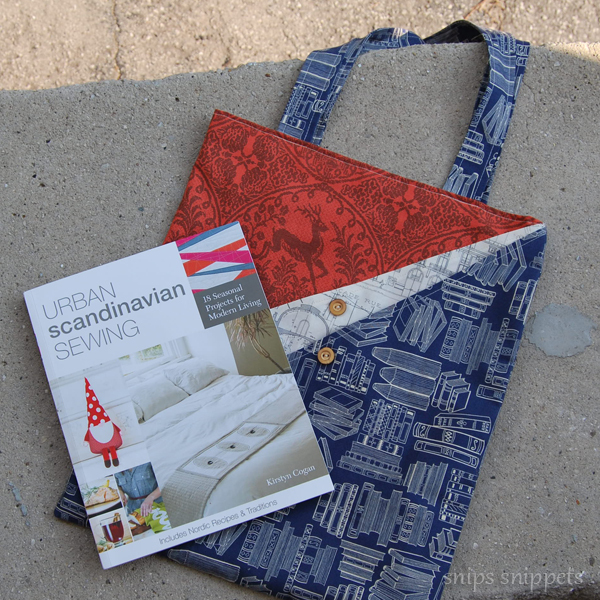 Myself, along with a few other talented sewing bloggers will be sharing Kirstyn Cogan’s new book, Urban Scandinavian Sewing, available for purchase at C&T publishing and Amazon. It's a wonderfully simple book that has fun little projects that can easily (and quickly) be stitched up! It also has a smattering of Nordic recipes throughout that i can't wait to try, um... helloooo Swedish Meatballs and Lingonberry sauce!! I decided to try my hand making the Sail Away Tote, and i think the longest part of the process was just picking the fabrics out! Once i finally decided on my fabrics the bag came together so fast! 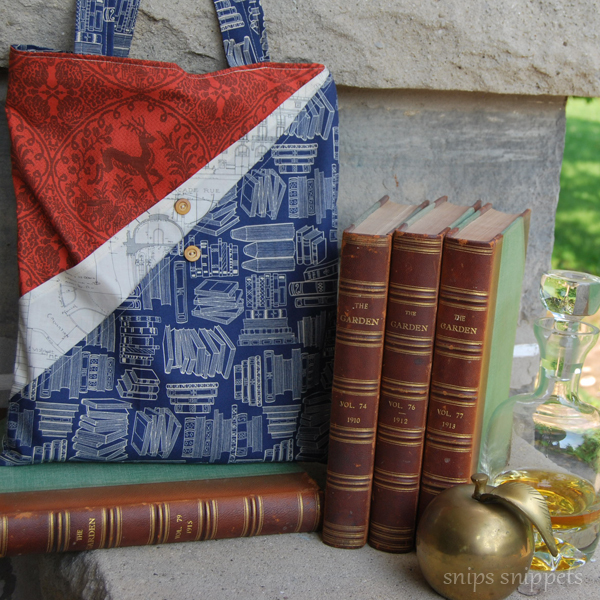 When i first saw this bag i thought it would be great for a little book bag for my mom for taking to the library, so of course i started with the navy bookish fabric. From there i picked the AMH stag print ( my mom loves this print) and an architectural print that i knew she would also love. as well as lining it and making the straps from it too! When the fabric is the perfect pick for the project you may as well use it as much as possible! 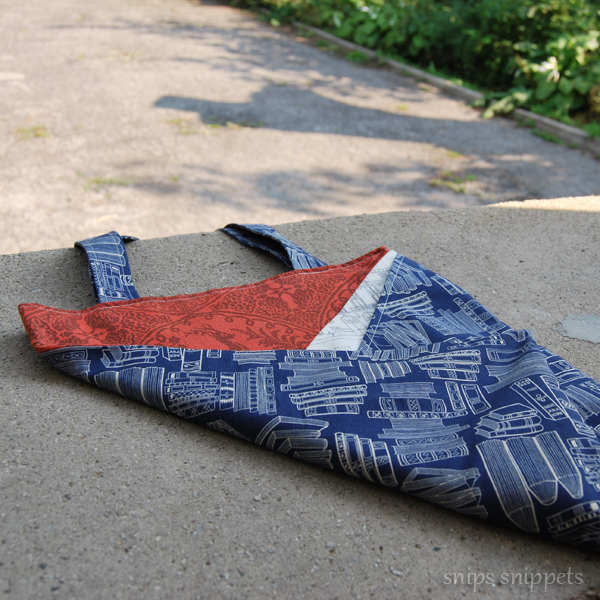 I did widen the straps from the pattern as i wanted it to be more comfortable when carrying books, but other than that i've kept it exactly like the pattern. 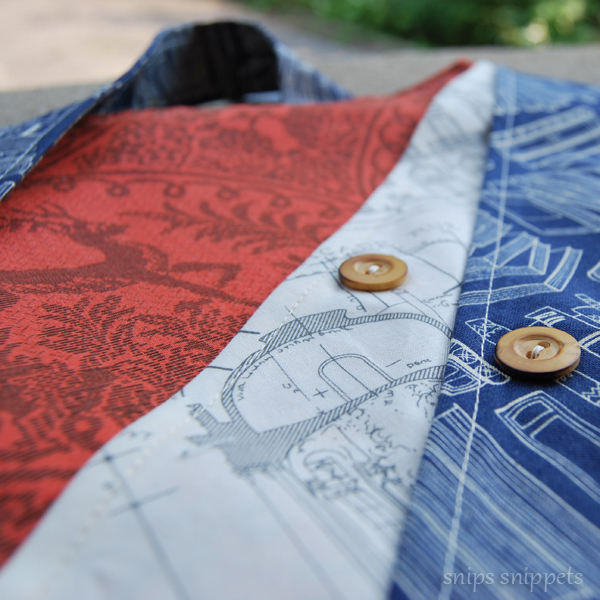 I think my favourite detail is the little wooden buttons used to hold the pockets closed. Perfect. I have my next two projects from the book picked out and fabrics pulled for one, and can see this being a great project book when i need to whip up a quick gift for someone. And with Christmas steadily getting closer i may as well get a jump on the gift making now, right! There's sure to be many more lovely things sewn from the other fab ladies taking part in this hop so be sure to pop on over to their blogs and check it all out! You'll also want to visit Kirstyn’s blog, http://www.kirstyncogan.com/blog/ over the next two weeks, as she’ll be sharing round-ups of all the stops each week so you’ll be sure not to miss a thing! As part of the book tour, Kirstyn is giving away a copy of her book and a FQ bundle of her new fabric line, Urban Scandinavian, that is shipping to fabric stores near you next month, to two lucky winners! Enter below in the rafflecopter giveaway, open through midnight, August 30. I'd make the tote bag too-So cute and would make nice gifts. Definitely a high five! I love the X patterned quilt. Gnome! My son would love one. Cute bag!!! I love how you customized it for your mom and all of the sweet details like the wooden buttons and diagonal pockets!!! Love your new header too!!!!! I would definitely make the tote bag!! 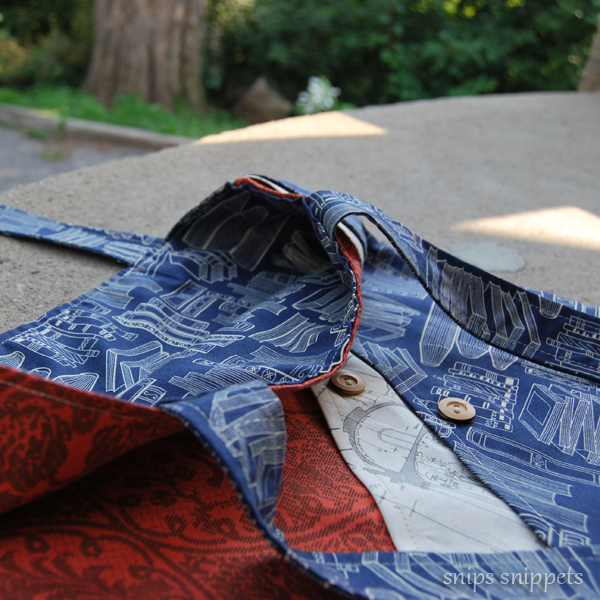 I love your tote, Scandinavian design and sewing! I can't wait to check out this book!! Thank you! I love making bags. So this tote would be at the top of my list! I love the gnome! thank you! I would make a bag too. Love it and perfect for using up spare smaller pieces of fabric. I like the bed runner on the cover. I'd love to make this bag - so cute. The gnome looks fun, and I'd like to try a few recipes too. 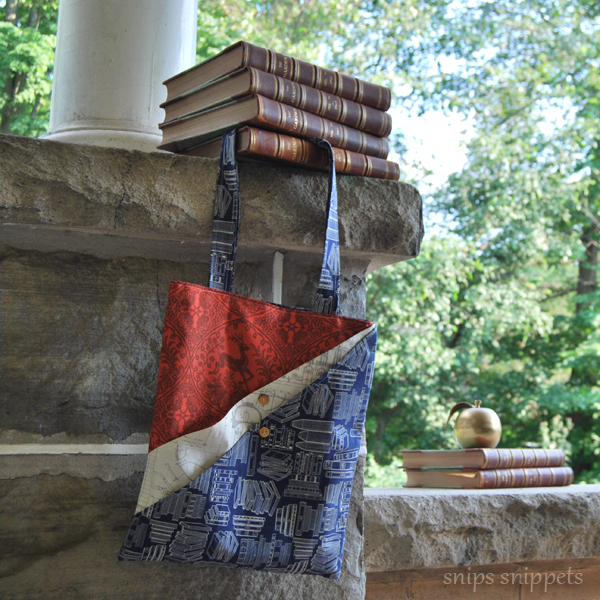 Love those fabrics for the bag! Really nice result. So happy to see you back in the blogosphere! And I saw one of your quilts in an honest to goodness quilt magazine. You're officially a Quilty rockstar! Being a Scandinavian myself (oof-dah! ), I admire the simple style and pure colors used. I'd like to make the bed runner. The basic shapes and purity of it is very appealing to me! Your bag is gorgeous! I especially love the fabrics you've chosen. As for me, I'd have to sew that little gnome for my husband's office! Thanks for the chance!